This administration tool is targeted at Linux Operating System and written in pure C, with GTK and GLADE interface. All libraries used in this application are open-sourced free software, and because of GTK’s lisence, this application itself is not required to be open-source, and can be used for any purposes free. Description: Gambas is a free development environment based on a Basic interpreter with object extensions, like Visual Basic (but it is NOT a clone!). I want to exchange some ideas. I have a class to connect to the database Firebird. All classes that need access to the database is inherited this class. What is the best way to make connection to the database? It has 2 major add-ons, changes, and bugs-fixing. on the TableGrid, you can make a Report based on them. 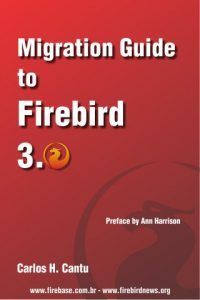 1 dynamic report by connecting directly to Firebird database. format file,another one is the text data source file. all report will be the same, no matter how the database changes. fixed. Useful as a history record.